This isn’t a pretty dip, but once you get one taste of it, you won’t be able to stop. Perfect with tortilla chips (we like Que Pasa Stone Ground chips), veggies or crackers, or as a spread, or in burritos or similar. Also delicious spread on a wrap and topped with grated cheddar or Monterey jack, then rolled up as a Black Bean Roll-up. Combine all ingredients in food processor and process until smooth. If too thick, add some of the bean water (from the can) or tap water. 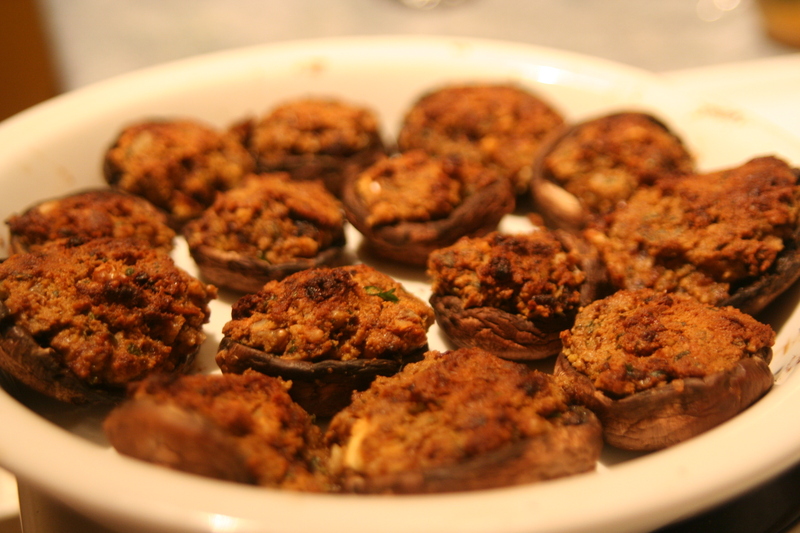 I needed a gluten- and dairy-free item for a snacky potluck, and had a bag of crimini mushrooms in the fridge – given that stuffed mushrooms are one of my favourite hors d’oeuvres, and you can stuff them with such a wide variety of ingredients, I spent the day dreaming of the tastiest gluten- and dairy-free combinations I could dream up. Originally, I was going to make these vegan, but when I found out there was no issue (for this particular person) with goats cheese, I decided to include that. If I were making them fully vegan, I would just remove the goats cheese, chop up the mushroom stems for extra bulk, and probably increase the walnut and nutritional yeast content. *To roast garlic, wrap a whole head, skin on, in foil and place in the oven to bake at 350 degrees for at least an hour. Allow to cool. The extra from this recipe can be used in any recipe where you would use fresh or powdered garlic, or spread on toast. Soak walnuts in equal amounts Braggs seasoning and water, enough to cover, plus 1 tsp. sesame oil, for 1-3 hours (at least). Melt coconut oil in a skillet over medium heat. Add onions. 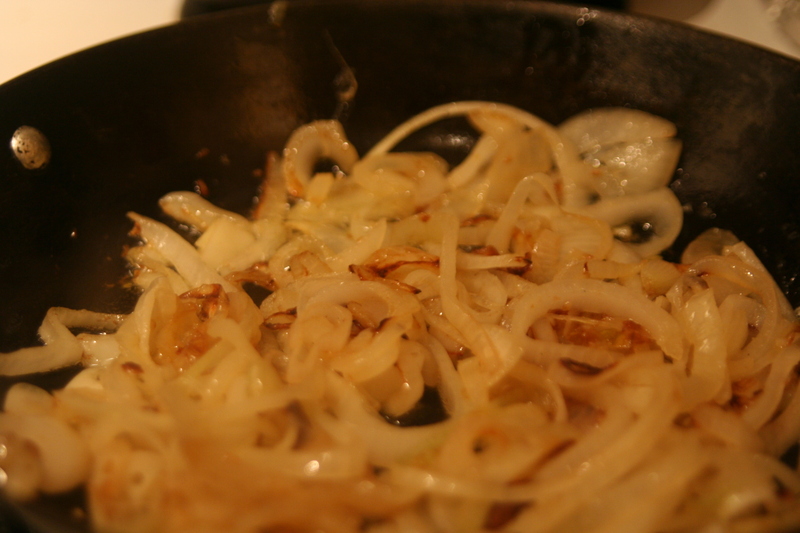 Stir often, and when onions start to brown, turn down heat to medium-low. Cook slowly, stirring often, until fully cooked, translucent and golden brown. Pre-heat oven to 350 degrees. Drain walnuts and reserve liquid. Combine walnuts, cheese, caramelized onions, nutritional yeast, roasted garlic (squeeze from the paper by pinching at the top and working down) and herbs in a food processor. 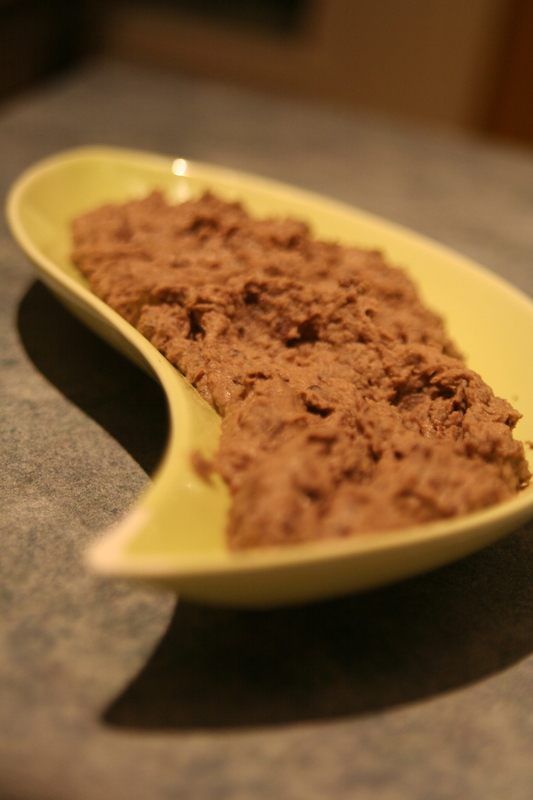 Process until the consistency of a thick pate. 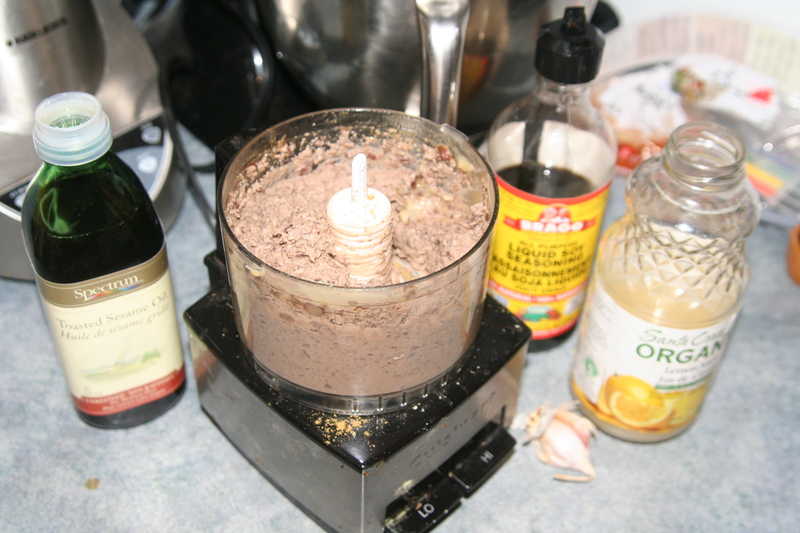 If it becomes to difficult to process, add the walnut liquid in small amounts until it can be mixed. The mixture should be as thick as possible while still allowing it to be processed. Wipe down mushrooms with a damp cloth, and gently remove stems. 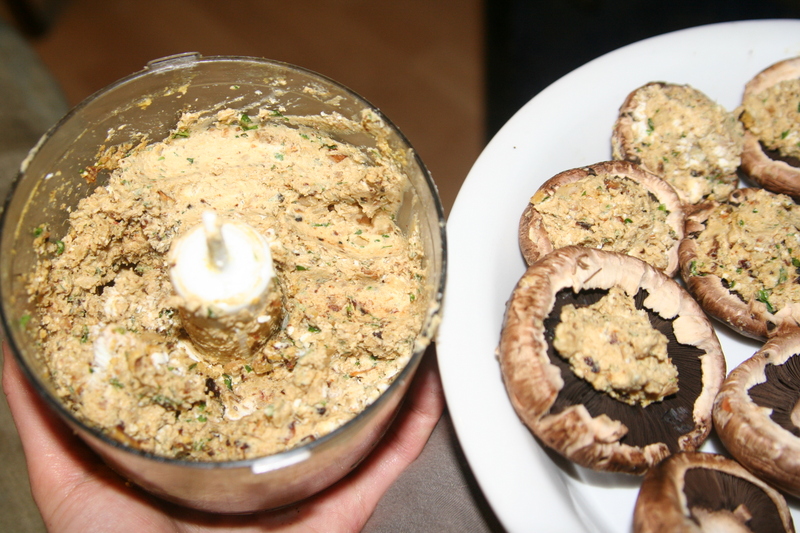 Fill each mushroom cap with a generous amount of filling – this should be heaping. I used my hands, because I had discovered by this point that this stuff was incredibly delicious, and I wanted an excuse to lick my fingers afterward. Bake in a covered dish for 30 minutes. Any excess filling is wonderful on crackers. Or you could just make it as a pate or spread in the first place. Enjoy!